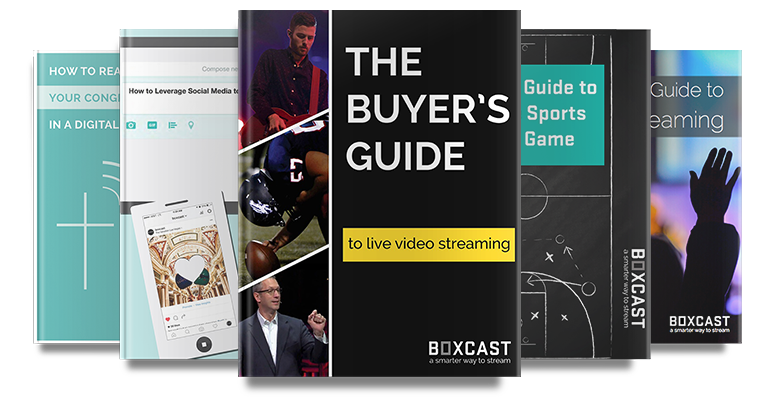 CLEVELAND, OH (June 27, 2018) – BoxCast today announced the immediate availability of its highly-anticipated BoxCaster Pro, the company’s newest live streaming encoder designed to deliver ultra-high quality live streams with all the simplicity, reliability, and technical sophistication for which BoxCast is known. The BoxCaster Pro can ingest video of any resolution from SD to 4K60 and can stream up to 1080p60. HEVC encoding allows users to stream events live without requiring large amounts of network bandwidth. The BoxCaster Pro has professional inputs and outputs, including 12G SDI and balanced audio from 2 XLR and ¼” inputs. Its 4.3” LCD touchscreen allows broadcasters to easily see a live video preview, along with video inputs, audio levels, and network information. BoxCast will formally launch the product during The BoxCaster Pro Keynote Presentation from its headquarters in Cleveland, Ohio on Wednesday, June 27th at 4:30 pm EST. BoxCast CEO, Gordon Daily will deliver a keynote presentation and conduct demonstrations of the BoxCaster Pro during the event, which will be live streamed to audiences worldwide using the BoxCaster.